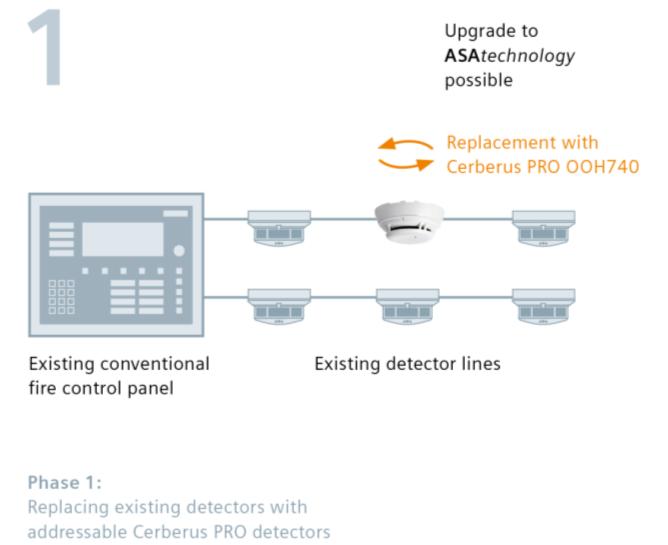 With CerberusPRO, you can easily modernise your existing fire alarm system and benefit from the latest detector technology like the unique ASA Technology from Siemens. What's more, you can migrate your system in phases according to your needs and budget. Older systems often no longer meet the safety requirements currently prescribed for new installations. Nuisance alarms may occur, disturbing your business processes. Additionally, older systems require increasingly intensive maintenance. And as time goes by, many factors within your company may change – whether product services or working methods and procedures. All these aspects affect your safety needs, which is why a fire alarm system requires timely modernization. Does your existing fire detection system still protect your employees and your assets? Are your customers, visitors and company sufficiently protected? Does your existing system meet the current and mid-term laws and regulations? Which method of modernisation would be best for you? 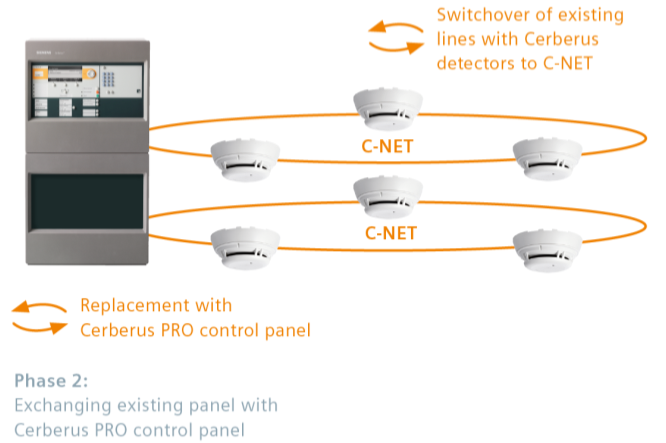 Replacing only components that really need to be replaced – thanks to the compatibility of Cerberus PRO with existing fire detection systems from Siemens.